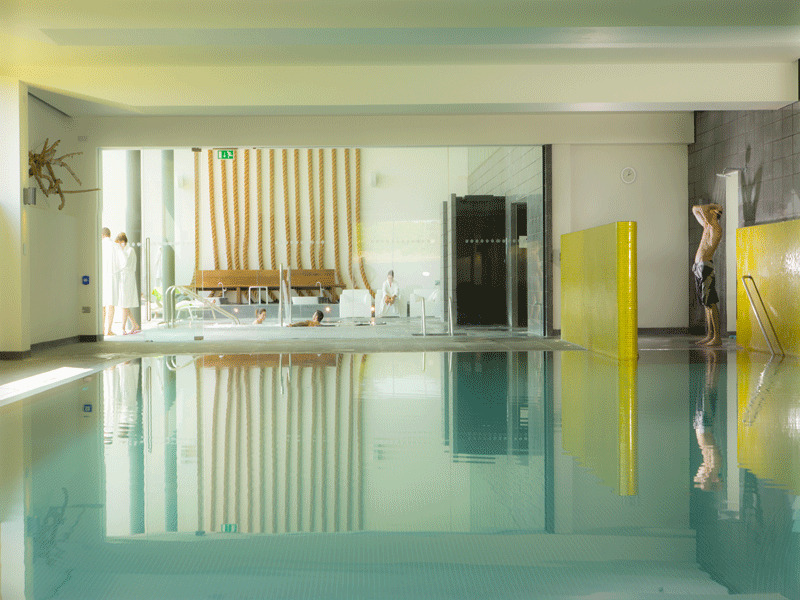 “I was asked to give you all the lowdown on my spa break at Lifehouse, and I’m happy to report back that the place was as amazing as I thought it would be. Everything just seems to run so seamlessly and effortlessly...and everyone’s just so amazingly friendly, too. I had to have a go at the Oriental Bathing Experience, the Lifehouse signature treatment. Oh my...I was so relaxed after I came out of it that I forgot where I was meeting my mum, who I took with me for a pamper day. It’s two hours of pure indulgence, starting with a Thai reflexology ritual that sets you up for the rest of the experience. Next, you’re taken through to a pool with mood lighting and hydrotherapy jets that pound your back and shoulders in a really soothing way, to release and muscle tension. A quick walk over reflexology stones while inhaling the gorgeous scented oils follows. Then it’s on to an oriental-style exfoliation. You’re left to scrub your front, and shower yourself off, then led into a massage room with the most deliciously heated water bed, where the therapist scrubs and exfoliates your back for you. Bliss. It doesn’t end there! After a quick showering off, you’ll be taken into the most gorgeous heated pool, complete with water feature, and left to sit and relax for ten minutes, listening to the calming music and drinking a Japanese ginger tea to detox you (and if you’re anything like me you’ll be backwards and forwards to the loo after an OBE – it’s the effects of the treatment ...) Personally, I could have quite happily stayed in that pool all afternoon, but after a while the therapist comes back in to make sure that you’ve not fallen asleep and takes you through to the last part of the treatment. The ritual ends with the gentle banging of a gong (again, I think just to make sure you haven’t dozed off) and then you’re led into one of the gorgeous sleep pods to relax until you’re ready to face the world. If you’re now ready to book your next spa day, why not give our experts a call?